Sign up to get notified for the exclusive discount! Are these situations burn you out? 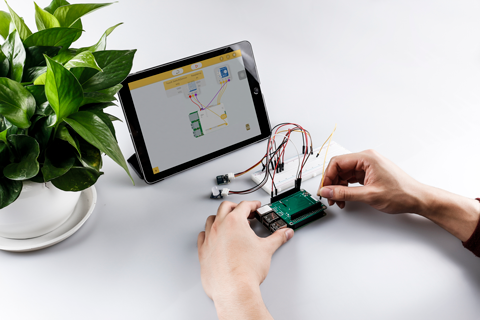 Now, with EZblock Kit, you can edit, program, and control any open-source modules with a single app! EZblock Kit’s mobile IDE app, supporting almost all platforms for RPi helps achieve fast prototyping for every developer. Programming with a USB is a thing of the past. EZblock Kit can flash your codes wirelessly via Bluetooth or Wifi to your IoT or robotic projects within seconds. Have the freedom to code with an iPad, tablet, phone, or laptop and save it on the Cloud in less than a minute. Give life to your projects 95% more efficiently! We have transformed the way you create a project. This Kit brought IoT to our daily life. 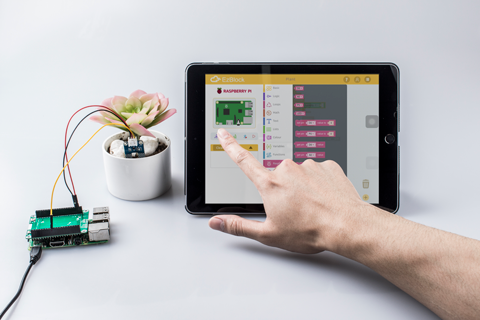 EZblock IDE empowered Scratch with IoT Blocks to make everyone has the key to access the magical IoT world. For advanced developers, we’ve finished the tedious “infrastructure” building. Now you can focus on your personal project, and leave the rest to EZblock! 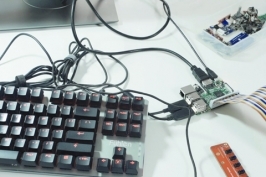 Hardware programming has never been easier to learn for beginners with the hardware simulations. For more experienced programmers, design your hardware circuits virtually first to better plan your the circuits in real life. EZblock generates the code for the whole circuit automatically and saves it to the edit page for you to build your application. The EZblock Kit not only supports Android and iOS, but also Linux, Windows, Mac, and more. Designed to include most developers, we made EZBlocks compatible with most programming languages. 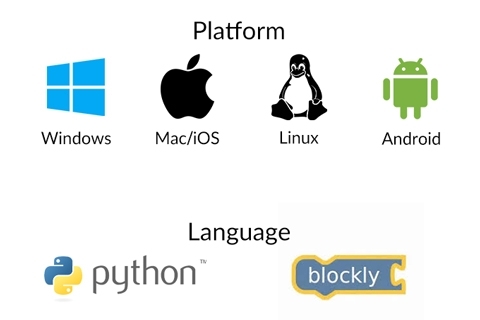 Choose from Blockly, Python, Swift, never be restricted to a coding language.